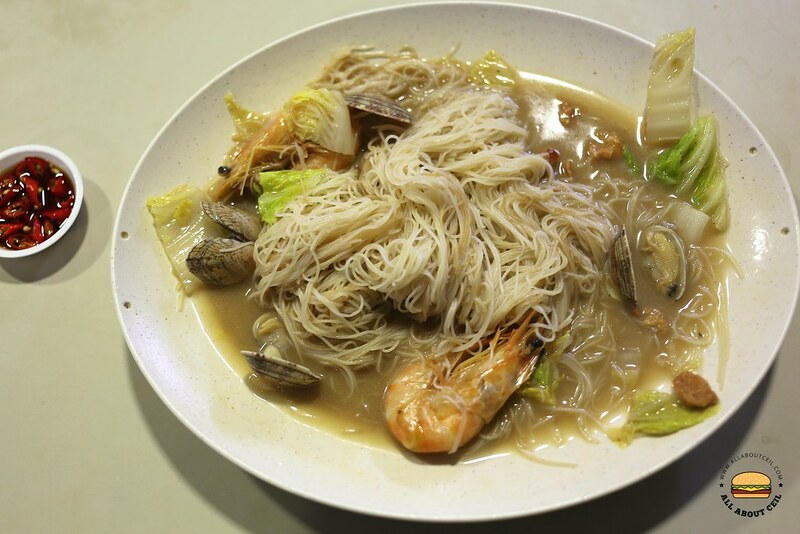 You Huak Restaurant in Sembawang is likely to be the first to serve white bee hoon before it gained its popularity and they are believed to be the creator of this popular dish. I still remember those times that I joined the long queue to get a table there for their signature white bee hoon. 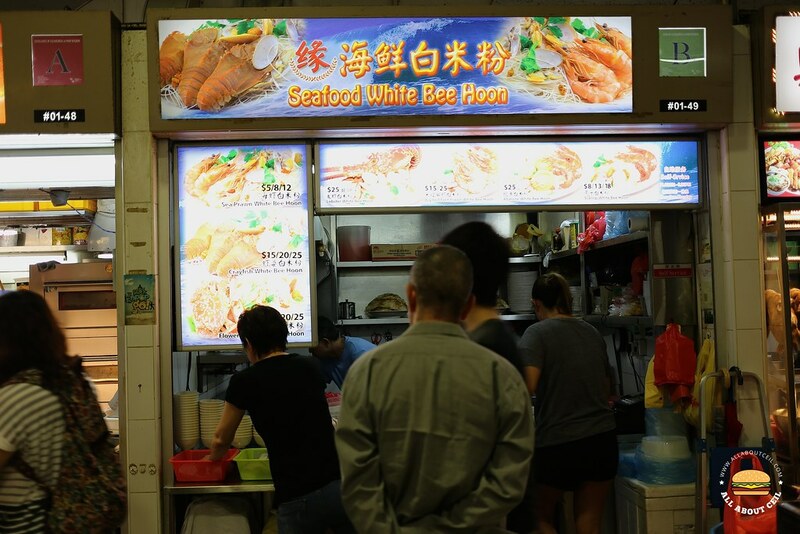 Through the years, they went through a rebranding and also expanded to include a few other branches under the new name of White Restaurant, which is named after their famous white bee hoon. When this dish started to get popular, there are also other hawker stalls and Zi Char places starting to serve it. 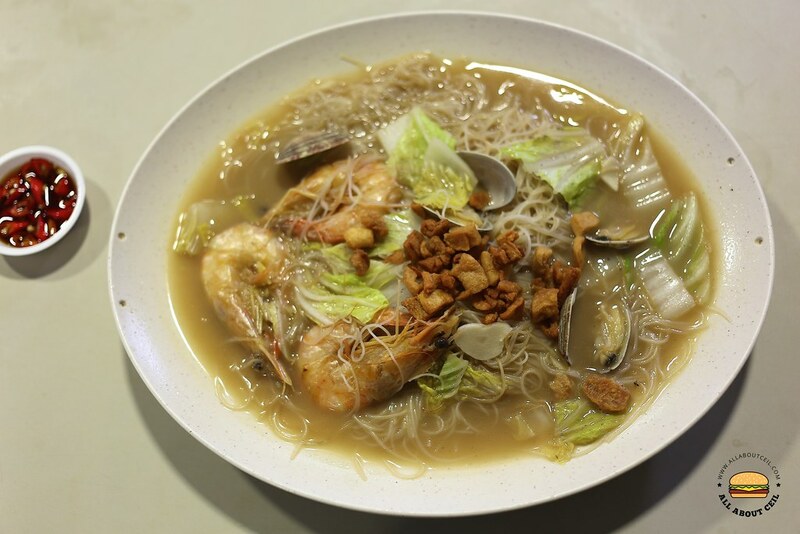 There are 2 hawker stalls that are serving this dish in this food centre near my place, I have tried both and actually prefer the white bee hoon from this particular stall more. I have been one of their regular customers since their opening. Simon, the owner, used to work as a chef at a restaurant in London for many years. He started this stall about a year ago as they were still not that many stalls serving white bee hoon at that time. He is the only one that does the cooking so the standard has been quite consistent so far. He is a friendly chap and he often asked, "Why you did not come for so long?" even though my last visit was just a month ago. I usually go for their basic portion for just $5.00 that is served with only prawns and clams, their ingredients are always fresh. Simon even made an effort to sear the prawns before cooking it to give it a delightful smoky flavor. He has also wok-fried the bee hoon to give it the charred flavor then left it aside and cooked it with the ingredients in the broth then served along with their freshly prepared fried lard. During my recent visit, he was telling me that he experimented and using an improved recipe for his white bee hoon. 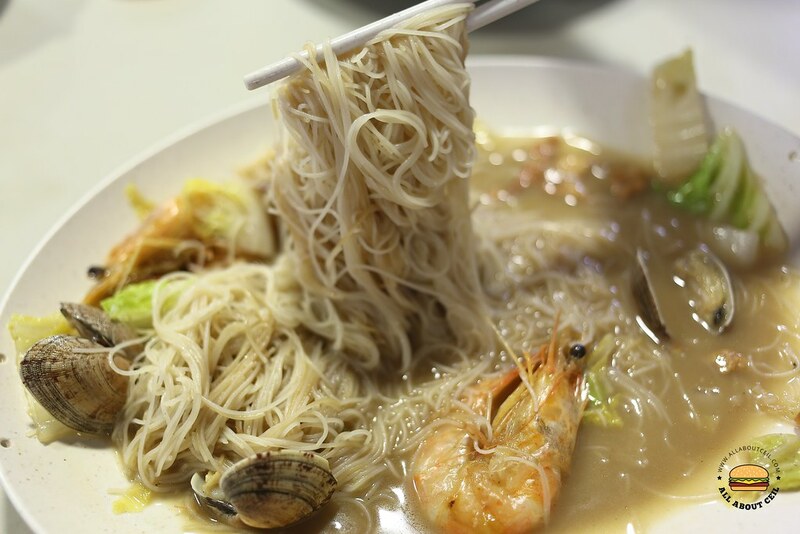 I have told him before that his white bee hoon is amongst the most flavorful ones as compared to the others that I have eaten in Ang Mo Kio, that is probably explained why there is often a queue at his stall.